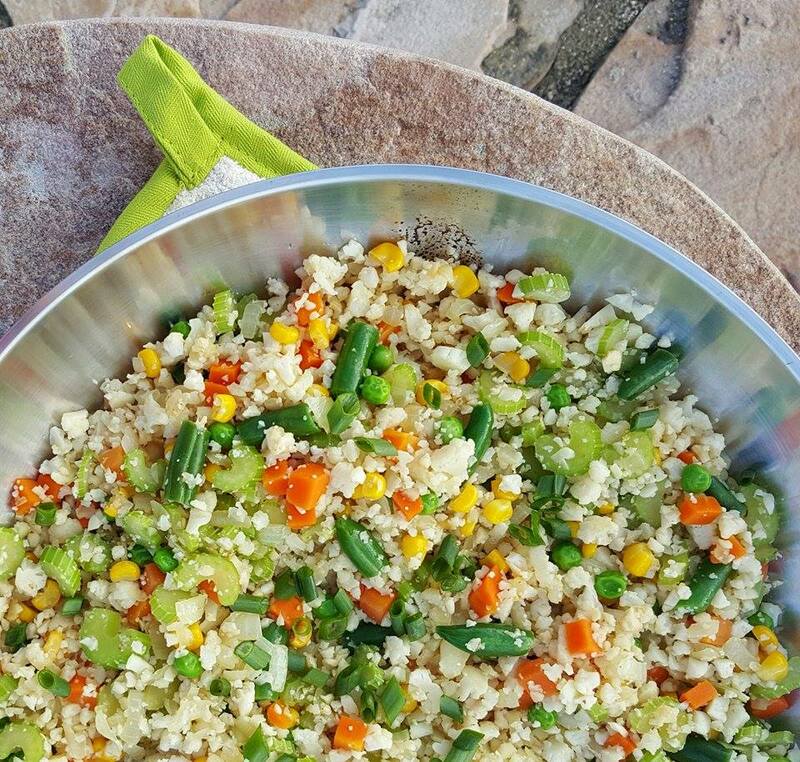 Rice cravings be-gone with this GRAINLESS, nutritionally packed dish! 1 cup organic frozen peas, edamame, green beans, corn, or any veggie mixture of choice equalling 1 cup. 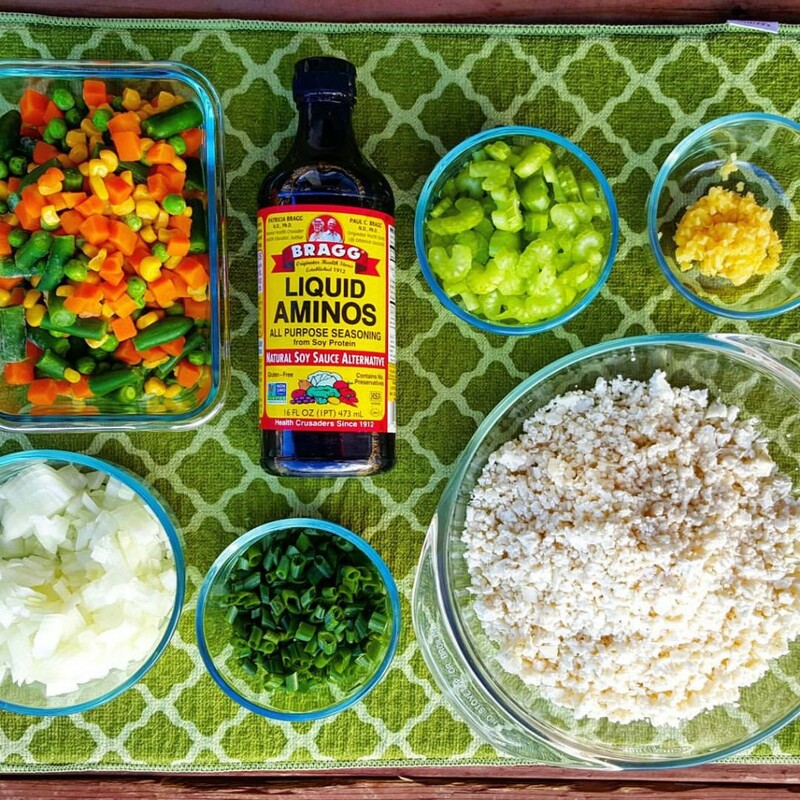 2 Tbsp low sodium soy sauce, Braggs liquid aminos, or coconut aminos. 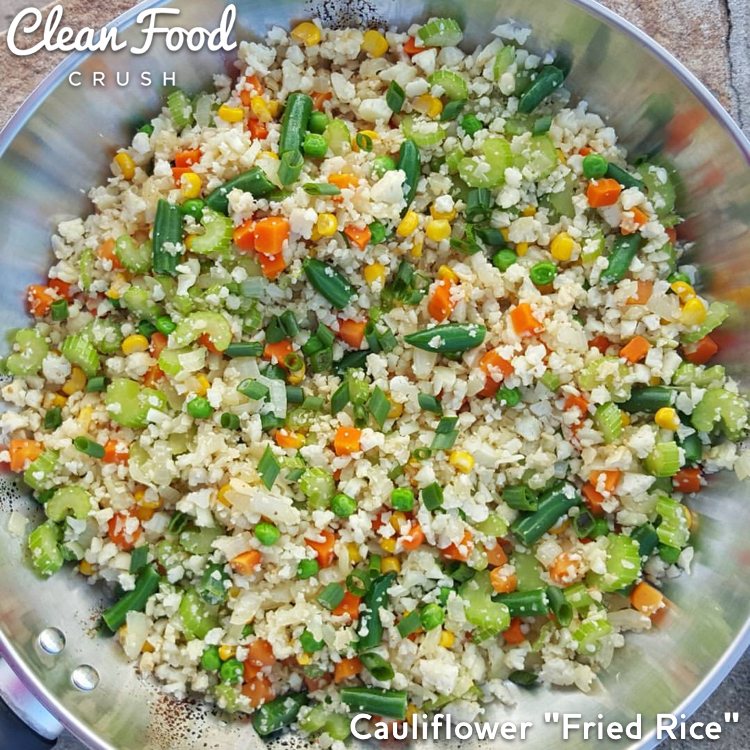 Shred cauliflower using the largest side of a grater; the end product resembles grains of rice. You can simply chop the very tips of the cauliflower florets with a knife, OR use a food processor. We’re only using the flowering part, not the stems. Steam frozen veggies until tender and heated through, just 3-4 minutes. Heat oil in a wok. Saute onion, celery, green onions, carrot, and garlic in hot oil until just softened, about 5 minutes. Add riced cauliflower; cook and stir until cauliflower has a tender but firm to the bite, 4 to 5 minutes. Stir in soy sauce, and your previously frozen veggies into cauliflower mixture and stir-fry until mixture is hot and slightly browned, 3 to 5 minutes. 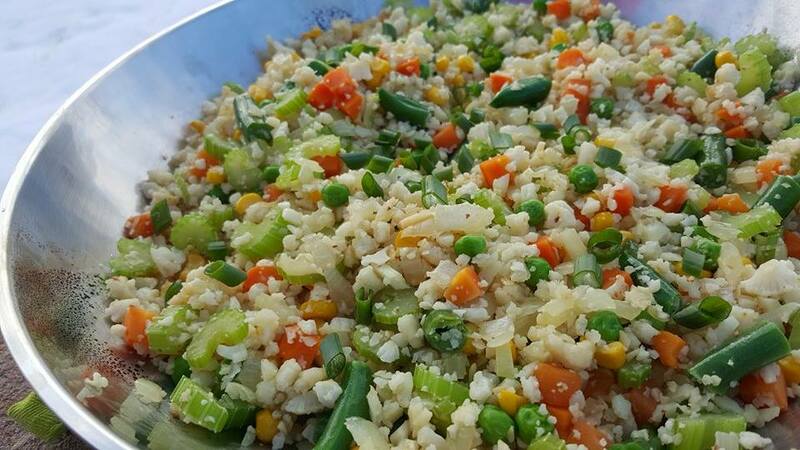 Shred cauliflower using the largest side of a grater; the end product resembles grains of rice. You can simply chop the very tips of the cauliflower florets with a knife, OR use a food processor. We're only using the flowering part, not the stems.